Be the coolest parents in Melbourne and host a Hip to the Hop party for your kids. You know we're all about collecting memories here at KidTown Melbourne. This includes memorable birthday celebrations that are a little bit different. If you're also looking for a unique way to celebrate your own kid's birthday this year, have you thought about a Hip Hop party? Off The Street Hip Hop is a small business whose artists come to you to host an incredible dance party experience your kids will raving about for years to come. No experience is necessary, Off The Street Hip Hop teach the coolest moves and encourage the kids in the group to partake in fun dance-off battles, all learnt from scratch. Planned choreography is mostly recognised from video clips, TV and the movies. Your kids will be in awe! Fully hosted entertainment. Female & male artists available. Spotify playlist shared with you so you can keep playing the cool (child appropriate) tunes after your artist has left. 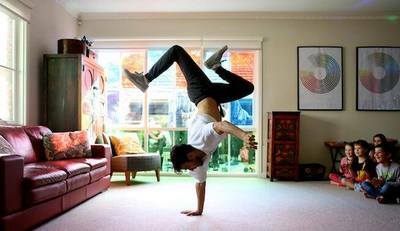 A Hip Hop Artist is ready to wow your kids with their rad dance skills and energy. What are you waiting for? Book here. Off The Street Hip Hop is the dance company owned by Megan Ibrahim and Peter Sette. 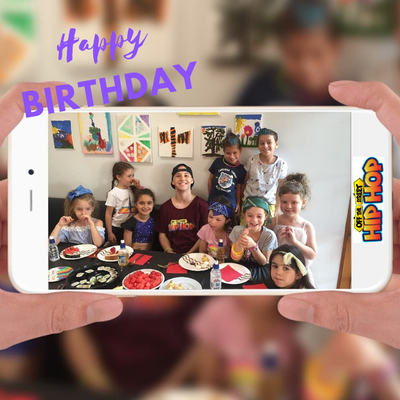 ‘Bringing hip hop to the kidz’ is their mission, one they achieve by running hip hop, breaking, acrobatic and art classes, workshops, school incursions, birthday parties, battles and various other events throughout each year. 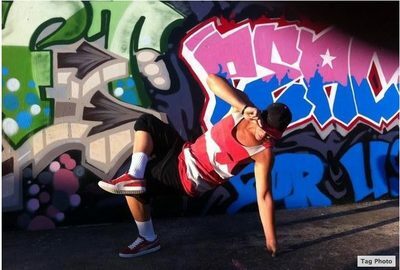 Born from a desire to provide an alternative style of dance classes for youth, they introduced ‘crew’ training, encouraging students to try something new and learn about the world of hip hop. Megan and Pete believe in the value of involving parents in their children’s education and promote a desire for inclusiveness of all family members, also working to educate parents in the importance of supporting their children’s self-expression. Costs: $280 for up to 20 kids, which covers 25km radius from CBD. More than 25km in distance can be done, and more children can be added, but will incur extra costs.